I found this song on Holy Soul’s tumbr post. 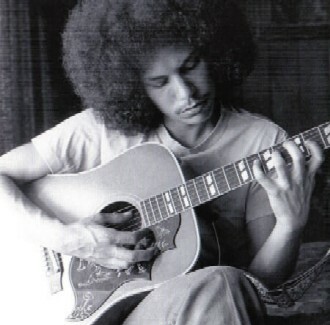 It’s from guitarist, Shuggie Otis’s 1974 album of the same title, Inspiration Information. And doing my go-to search on Wikipedia, I learned that Shuggie is the son of rhythm and blues pioneer and bandleader, Johnny Otis. I also learned that Shuggie wrote one of my favorite 70’s tunes, Strawberry Letter 23, that became a hit when the Brothers Johnson recorded it after hearing it on Shuggie’s album. A reclusive soul, after this album’s success, Shuggie refused a few offers–one, to work on an album with Quincy Jones, and another to tour with Billy Preston. This, coupled with his slowness in putting out another album at this time, caused Epic Records to drop Shuggie from his contract. He seems to have fallen off the professional radar for some time after that, but did re-establish a cult following of his Inspiration Information album in the 1990’s, due to the emergence of acid jazz. Prince and Lenny Kravatz were big fans, and David Byrne re-released the album in 2001. I was glad to read that Shuggie and Sony Music will be releasing a double-CD on April 20, 2013. It will be Inspiration Information, some live performances, and previously unreleased material. I look forward to having a good listen, and getting to know this artist’s work. Thanks so much Emma- I hope I can still look it up on NPR.